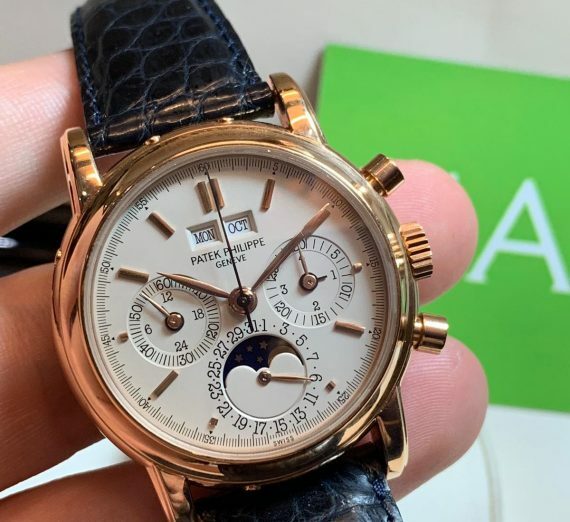 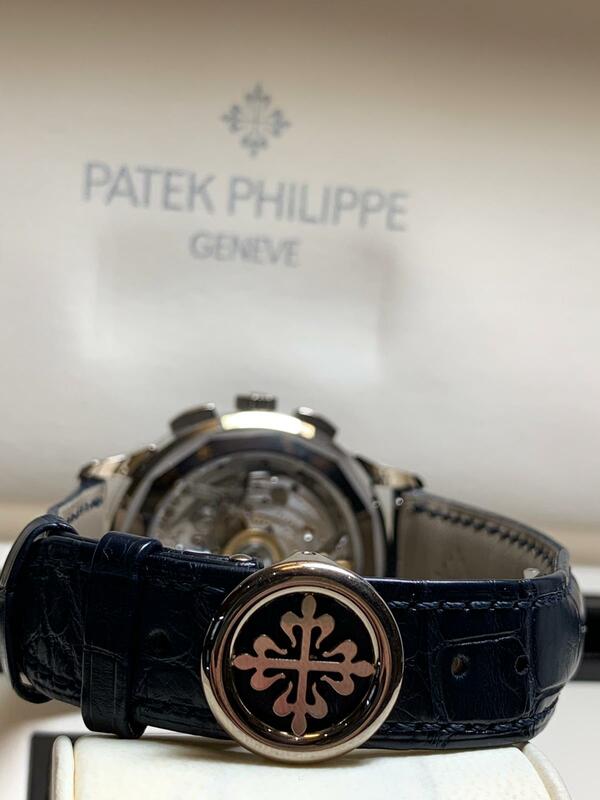 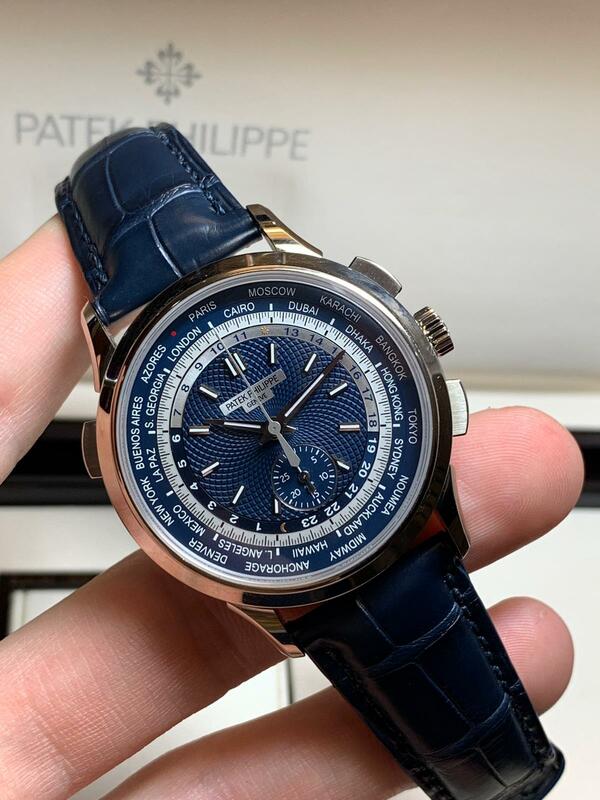 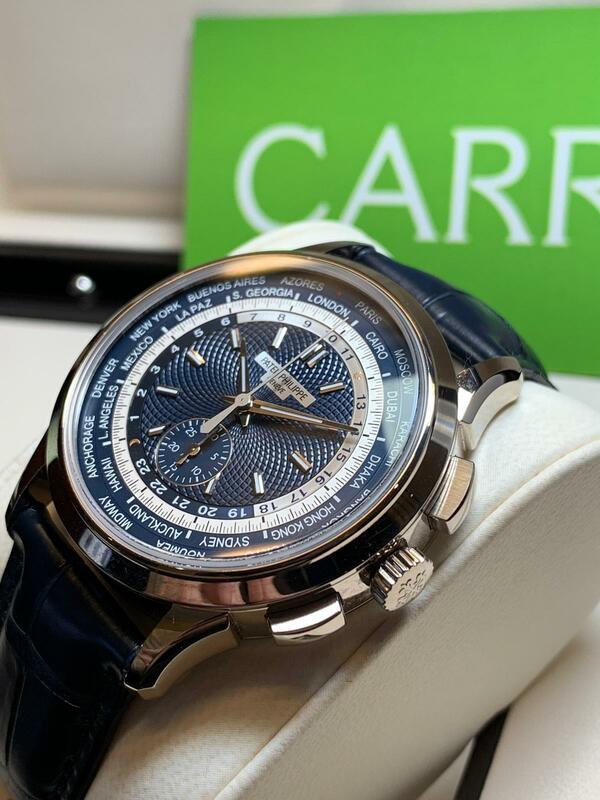 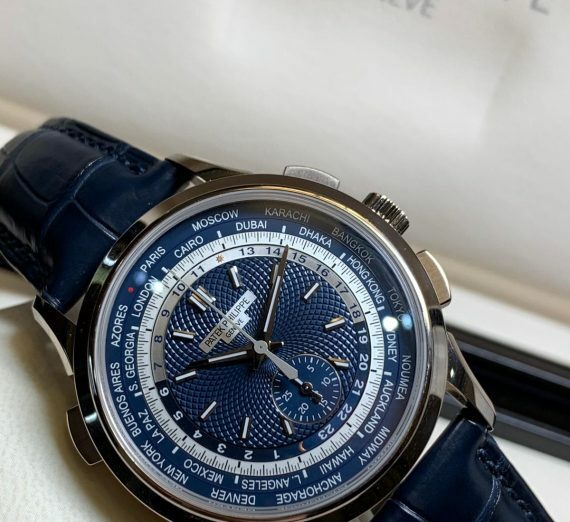 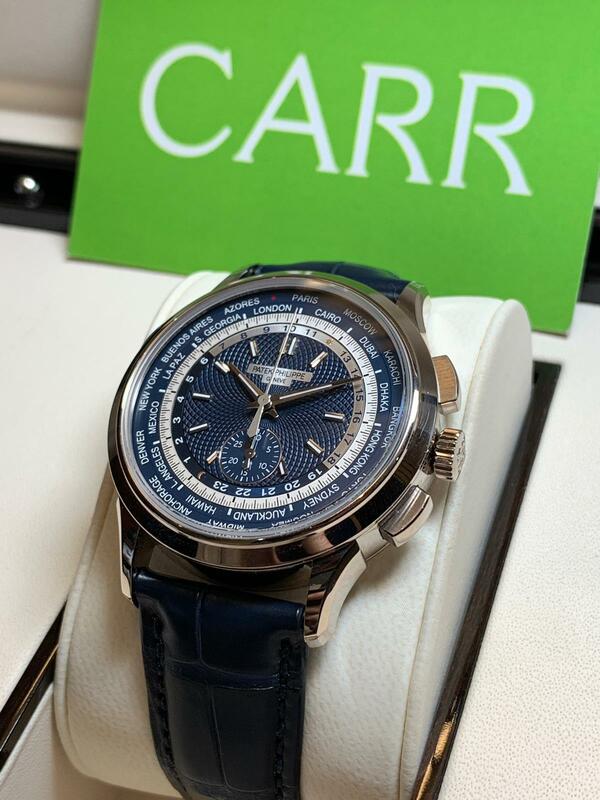 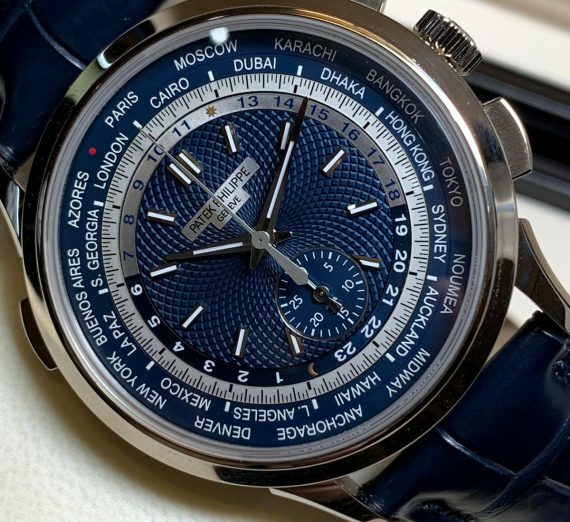 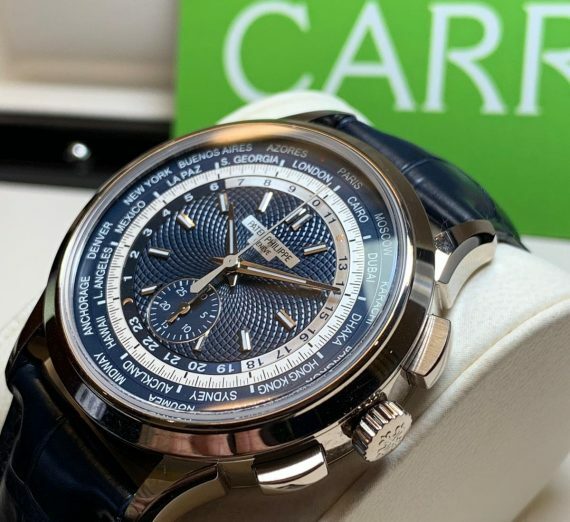 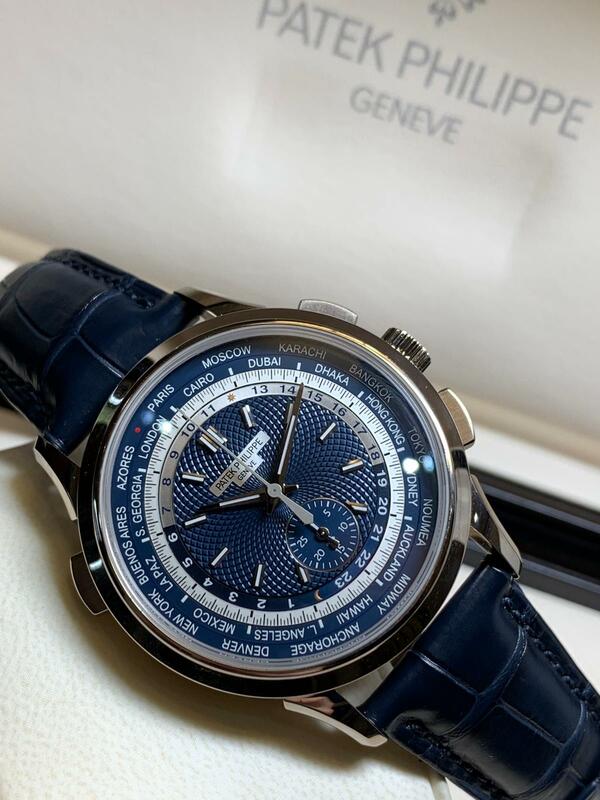 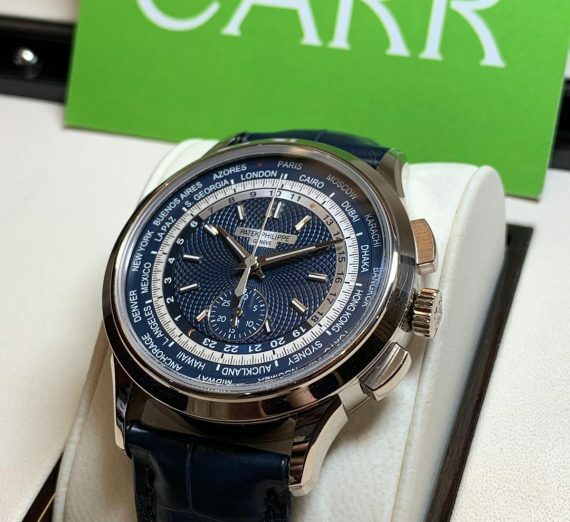 A stylish 18ct white gold World Time complication chronograph by Patek Philippe, having a round 39.5mm case with a hand finished blue guilloche dial and matching blue strap. 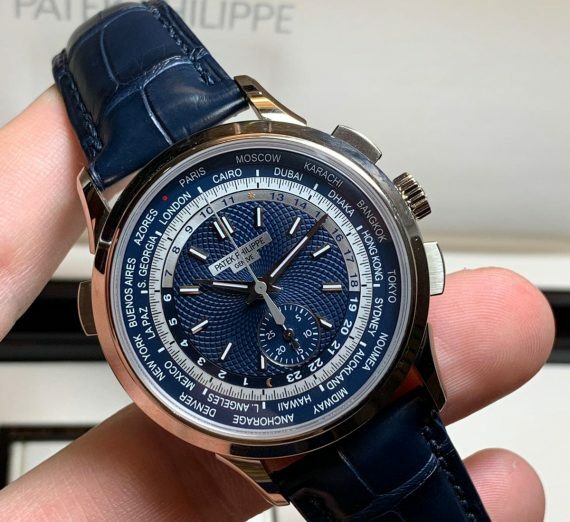 This model is the first world time that has a chronograph function. 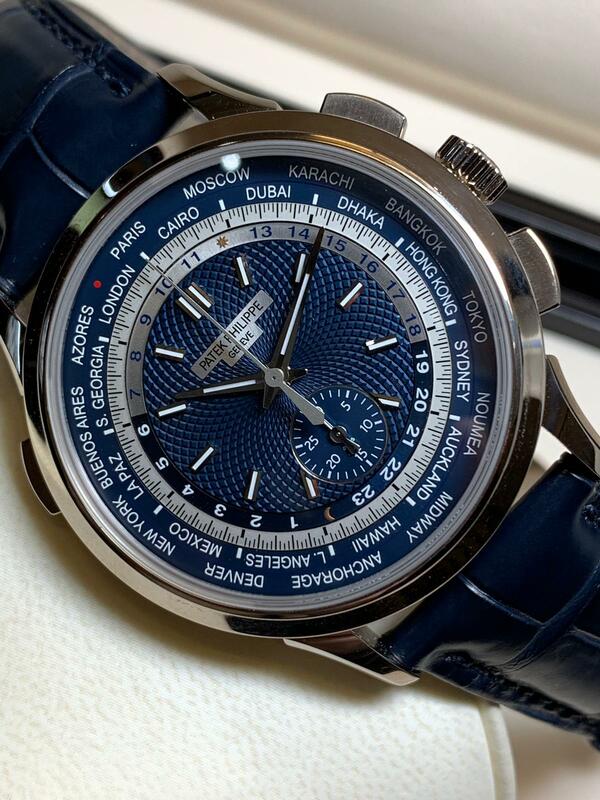 It has a day and night indication for the 24 hour zones. 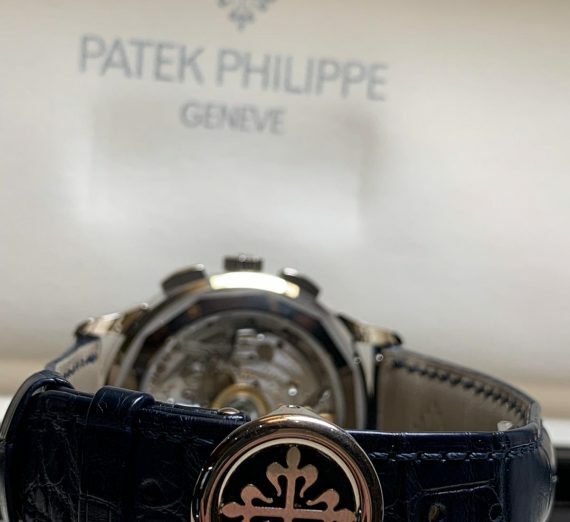 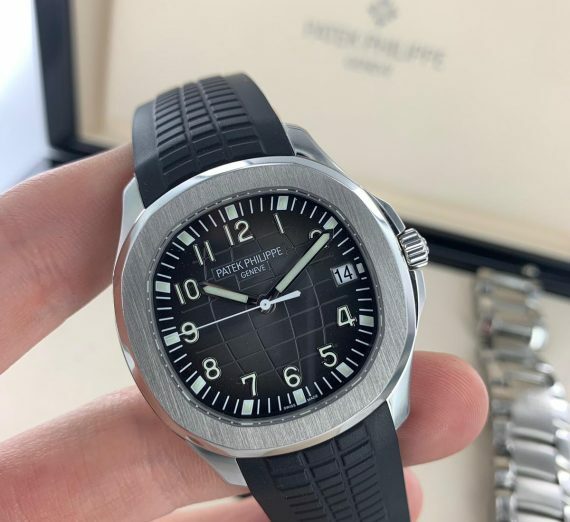 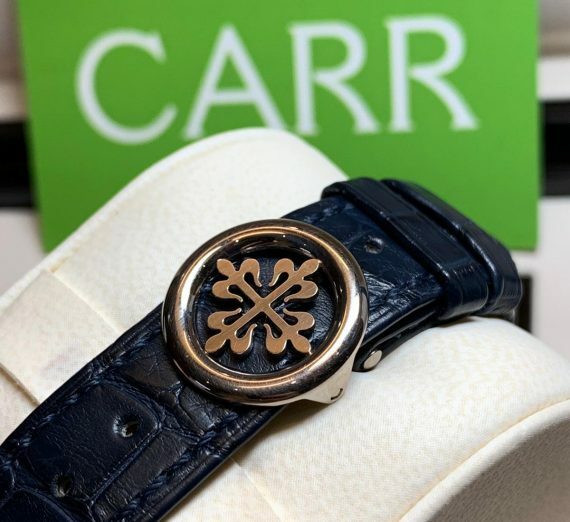 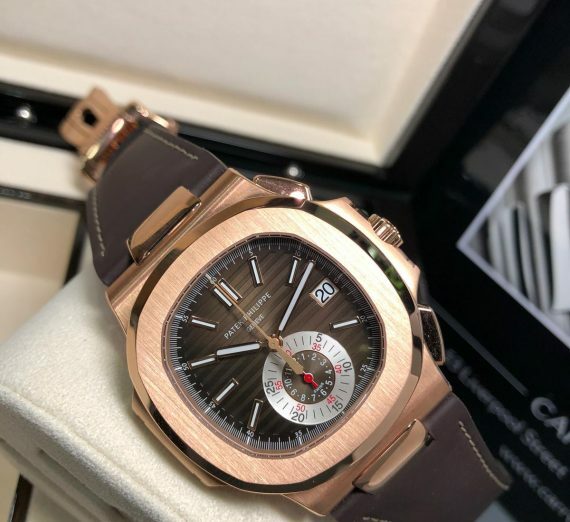 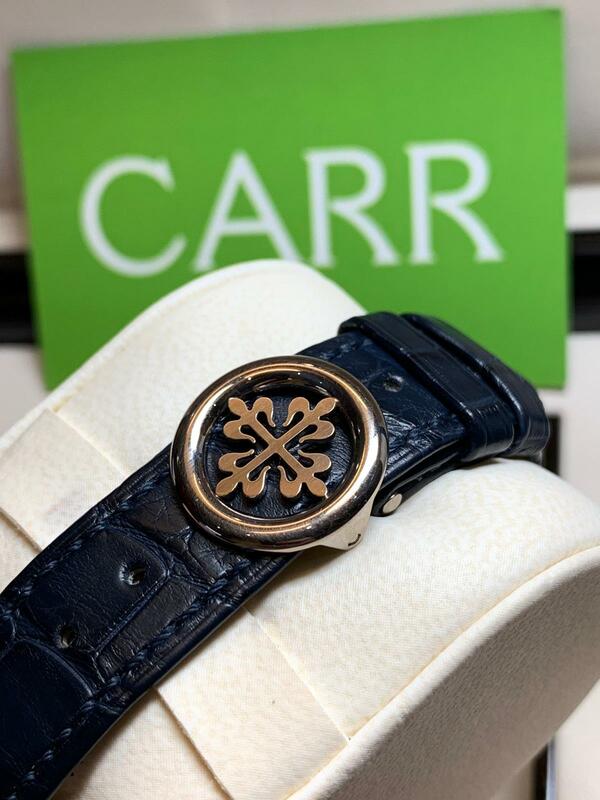 Available unworn, totally complete and covered by a Patek warranty.